The rich diversity of life – the variety and variability of all living things – in and around Squam is nothing short of extraordinary. Organisms are sustaining themselves throughout Squam – deer are browsing on buds and woody plants, fox kits are playing on warm summer grasses, and bear are bulking up for winter. Once a property is conserved, the very conservation values identified during a property’s acquisition can quickly be forgotten as the focus shifts to new acquisitions. There is a tendency to lose sight of a properties importance in the area for wildlife habitat, water quality protection, encouraging forest systems, and maintaining cultural features and low-impact recreation. But the conserved property continues to be the source of untold stories. 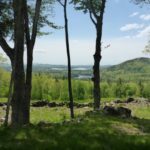 Enjoy some of the Untold Stories of Squam at Doublehead Preserve, Whitten Woods, and Unsworth Preserve. 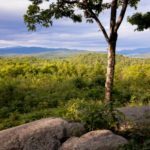 The Squam Lakes Natural Science Center strives to understand New Hampshire’s ecology and educate the public by exploring the natural world. 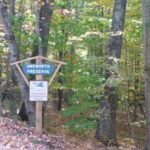 The Squam Lakes Conservation Society protects Squam’s land and water in order to preserve the quality and character of the watershed for present and future generations. The Squam Lakes Association promotes the protection, careful use and shared enjoyment of the lakes, mountains, forests, open spaces and wildlife of the Squam Lakes region.